When starting a transportation business with a range of municipal stakeholders, there’s a delicate dance involving operating logistics and marketing. In the case of the ACE Basin Express, I needed to ensure that both Charleston and Savannah would allow us to operate, and that our schedule of service and pick-up/drop-off locations were legal and sustainable, before pushing too hard on the marketing front. On the flip side, it’s not exactly easy to sell tickets when you haven’t been able to get the word out with concrete, here’s-how-to-catch-the-bus details. We’re grateful for those passengers over the past few weeks who have clicked on a meager Google ad while in search of bus transportation between Charleston and Savannah. We’re working on improving internet search-ability, of course, but now that solid operating logistics are in place, it’s time to get the word out through other local channels. First step: the Charleston Area Convention and Visitors Bureau (CACVB) and the Savannah Area Chamber of Commerce’s (SACC) tourism unit, Visit Savannah. These are two of the biggest tourism players, and over the past few weeks I’ve had an opportunity to speak with both organizations about the ACE Basin Express. By the end of this week we’ll be an official member of both organizations. The discussions were enlightening and encouraging, but it didn’t come as a surprise that an undercurrent of rivalry emerged from both sides. The missions of CACVB and SACC Visit Savannah are to promote tourism in Charleston and Savannah respectively, and it seems counterproductive to promote a service that removes people from your city and takes them to your closest competitor. 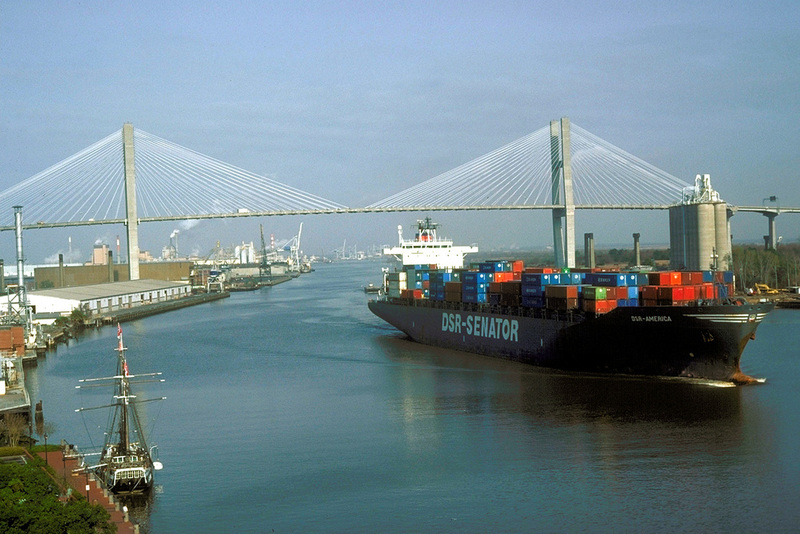 Luckily, CACVB and SACC Visit Savannah recognize that transportation ideally works in both directions, and that in practice, many travelers are already making the choice to visit both cities in tandem. Still, as far as I can tell, there have not been any attempts to market the cities together. These two cities compete – not just in tourism, but in almost every way that cities vie for wealth, prominence, influence, and notoriety. The proliferation of popular city rankings only fuels the fire, and I sense more of a rift than a bridge in spite of their proximity and common goals. Most sports fans would agree that a strong rivalry makes both competitors stronger. It raises their games, it creates hype, and it draws fans. Though the rules of play are the same, a strong rivalry allows athletes or teams to promote their unique identities in contrast to their competitors. Take Federer and Nadal, Clemson and South Carolina, or the Yankees and the Red Sox. Win-loss records aside, it seems that everyone enjoys positive gains. The players and teams build strong, loyal fan bases, who in turn benefit from a high level of competition and the pride of allegiance. As I continue working on promoting a new transportation option between Charleston and Savannah, I will embrace the rivalry between these two Southern cities. Literally every passenger with whom I’ve spoken has been excited to compare the two cities based on his or her own discoveries, and that’s exactly what travel is all about. I will encourage those in charge of promoting Charleston and Savannah to consider opportunities to capitalize on this rivalry, to foster uniqueness while working together as one region, and to remember that friendly competition leads to all kinds of victories for both sides.